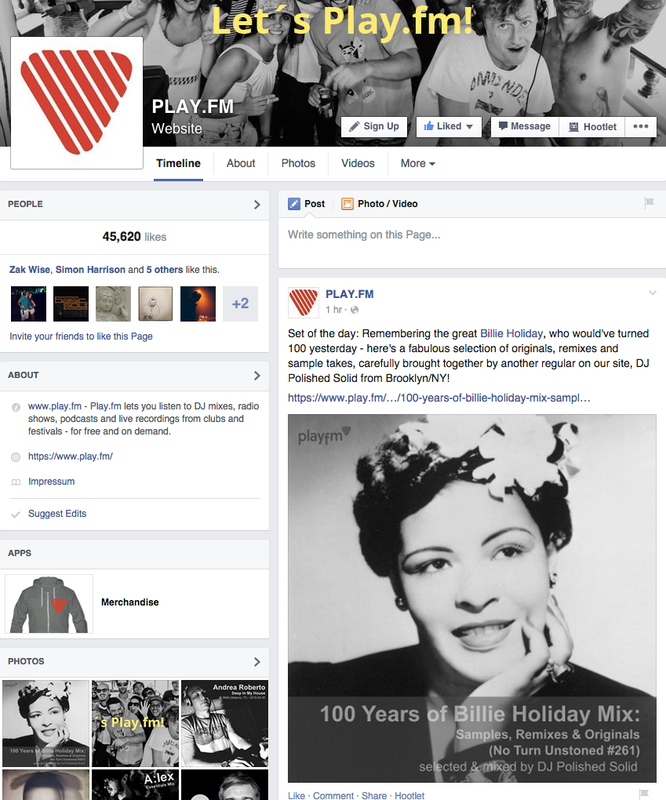 My Billie Holiday mix is play.fm’s set of the day today… YAY! 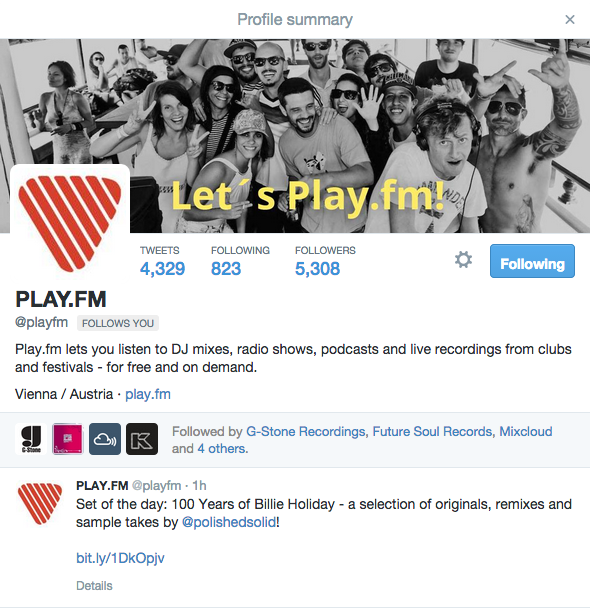 More than 5,000 world renowned DJs post their sets or mixes on play.fm, based out of Vienna, Austria. So, it is rare to get this acknowledgement. Thank you all for your continued support of my radio show! This entry was posted in news and tagged Billie Holiday, Play.fm. Bookmark the permalink.